Home » Article » Arsenal, Where Are You Gunning Now? Arsenal, Where Are You Gunning Now? It wouldn’t be wise as a fan if I condemn Arsenal’s recent condition on my blog. However, I am sick to see my favorite football club acting as beautiful losers1 till now. Looking at Arsenal’s history, this club is still one of the greatest clubs in England football. This club have won 13 first division championship cups (the third highest after Liverpool and Man United) and 10 FA cups (second highest after Man United), and have the best average league finishing position for the period 1900-19992. What makes most fans wonder is that with this kind of record in English football, Arsenal have not won any title again since 2005. What’s wrong with Arsenal then? If we see this case objectively we can draw many reasons why this club become like this. I did conduct some serious research towards this matter on the internet and also got the ‘data’ by my observation from watching Arsenal’s matches on TV. This is the main problem Arsenal have. Wenger is not good enough as he was, I think. Recently, he isn’t quite good to set up the squad. Most fans don’t understand why Wenger keeps players like Denilson and Diaby in the squad. Though some agree with Wenger, but frankly we can’t defend these players by observing Arsenal’s game when they play. Yes, they are improving but it is not enough when we talk about EPL and Champions League. Many times we see Denilson and Diaby are so lazy. EPL and Champions League are places for great players not just average and lazy players. I don’t say that they are average players, but I just say that they are lazy. Winners don’t show good techniques only but they work extremely hard to gain great achievements. What I don’t understand is that Wenger keeps his faith on these players. Probably we ever heard Ferguson’s famous Hair-Dryer Treatment. Yes, this treatment consistently makes Man United players play well throughout the seasons. We need this kind of treatment for Arsenal from Wenger. If Wenger is able to manage his encouragement to his players, I strongly believe that Arsenal will be better than now. One philosophy used by Wenger is to play football game beautifully. But weirdly, Wenger keeps complaining when the result of the game doesn’t go on his way. The problem he must understand from the very beginning is that play beautifully is not the same with play to win the game. Wenger should change his bizarre philosophy from now. Winning is the essence of the game. I don’t provoke a harsh or dishonest way to win a game, but I put emphasis that winning is the essence. Wenger doesn’t have to be ashamed if he wants to park the bus, defend only and counter attack, or cattenacio as long as it is needed why doesn’t he? We are aware that even Mou, Fergie, and Ancelotti sometimes use that kind of tactics. 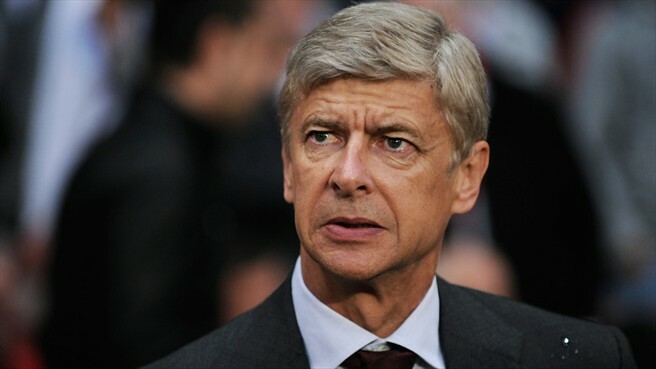 Overall, we need a new manager for Arsenal or Wenger himself changes his philosophy. However, some fans still think that Wenger is the bestest manager in Arsenal’s history thus it needs no changing upon Wenger’s ‘supremacy’3. Fabregas is really a great and very talented player, no one will ever doubt that. However, making Fabregas as a skipper is not a good idea. He is still young and doesn’t have typical charisma needed as a skipper. In addition, we see many times he plays with no motivation. We need a ‘strong’ personality as a skipper. The pressure is always high and you can’t make a low motivational player as a skipper at these levels. We surely need a good striker. A striker who knows how to cheat offside trap. A striker who can keep the ball well. A striker who doesn’t hesitate to rush at any defender. And we do need a solution for our players to hit the target and make crosses accurately. It keeps me wondering, what did Wenger train to his squad? Where are outside the box shots like we had before? 4. Issue on the defenders and goalie. The same issue that has been around for years in Arsenal since Keown, Adams, and Seaman left the squad. Yaik! Come on Wenger, buy good defenders and goalies! 5. Issue on the fans. Some fans are still claiming that this team have bad luck only. I don’t agree with that. It’s been running for 6 years so we can’t blame the x factor a.k.a. luck. We must unify to change the condition. Please don’t argue that silverware isn’t that important because it is. Or, like some fans, keep thinking that ‘Lord’ Wenger will do better next season without any changing4. to take a novel’s title written by Leonard Cohen. This term, beautiful losers, then was used by Duleep Allirajah in 2008 in his good article “Arsenal: the ‘beautiful losers’ of football“. Allirajah in 2009 used this term again to address the way Arsenal play compared to jogo bonito in his article “Arsenal: pretty, but no good in a fight“. this statistics is taken from Wikipedia. to see different opinion read this. a writing proposing such thinking is this article. Quo Vadis – Where Are You Going? Gunners – Gunning –> Where Are You Gunning? or Where Are You Running? ha ha It’s a funny word play. This entry was posted in Article and tagged Adams, Arsenal, Denilson, Diaby, Fabregas, Keown, Seaman, Wenger. Bookmark the permalink.